Five finalists will be selected by this year’s panel of renowned judges. 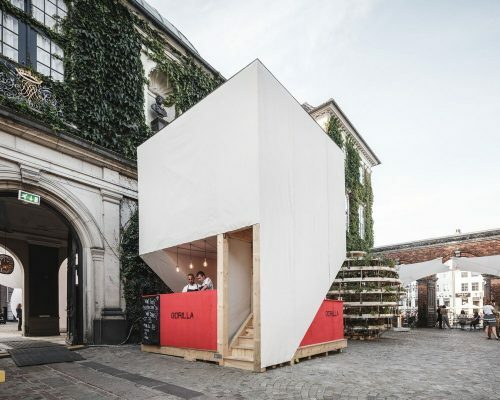 The winners of the competition will design pavilions to be presented during the 2018 edition of CHART. 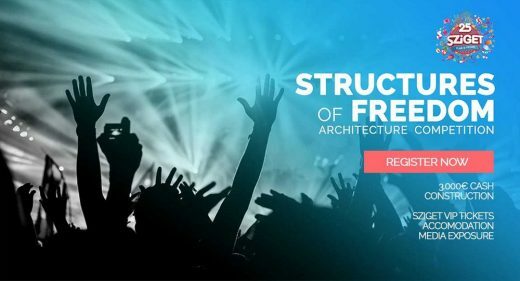 The CHART Architecture competition, a key element of CHART SOCIAL, was launched in 2014 with the intention of promoting young Nordic architects and exploring the crossover between art, design and architecture. 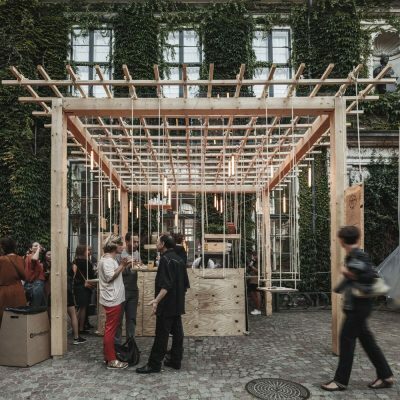 In 2018, CHART is extending the call for applications to young and newly established architectural professionals, as well as students and recent graduates from the Nordic architecture schools. The competition brief will be published on 13 April 2018 at 12:00 noon and will be open for entries for a 72-hour period, closing on 16 April 16 2018 at 12:00 noon. Five finalists selected by this years judges will be chosen to design pavilions to house gastronomy partners and SPACE10 during CHART. The winner will be announced on September 1, 2018. The 2018 concept is OPEN-SOURCE and challenges participants to unfold the potential of open-source content through modular design and cross collaborations, creating a platform for aesthetic experimentation and reusable design. In this collaboration CHART wants to underline the significant relationship existing between art and architecture, suggesting participants to design pavilions closely with artists as an integrated part of their team. Collaborations can be presented as initial ideas and then integrated in the further development of the pavilion. This year the CHART Architecture competition is judged by Bjarke Ingels, Architect and Founder of BIG Bjarke Ingels Group; Beatrice Galilee, Curator of Architecture and Design at The Metropolitan Museum of Modern Art; Ben Clement and Sebastian De La Cour (benandsebastian), Artist-duo; Simon Frommenwiler, Architect and Co-Founder of HHF Architects; Susanne Ottesen, Owner of Galleri Susanne Ottesen and Co-Founder of CHART; Thomas Lommeé, Founder and Partner of OpenStructure and Infrastructure. The winners of this year’s competition will be offered a mentorship programme with the aim to stimulate and support young architects’ careers. This competition will promote networking as well as promoting cross-sector collaboration amongst professionals. CHART Architecture is made possible by the generous support of Realdania, a social enterprise, whose mission is to improve the quality of life through the built environment; The City of Copenhagen, The Danish Arts Foundation, FOSS and The Dreyer Foundation. 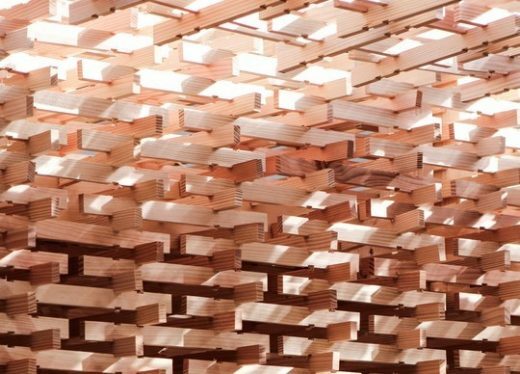 The winners of the 2017 CHART Architecture competition were selected for their Paper Pavilion, designed by architects Kazumasa Takada, Yuriko Yagi and Yohei Tomioka. 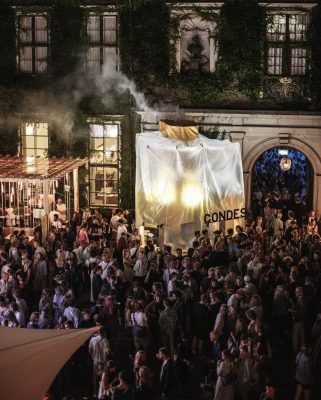 The Pavilion was realised in collaboration with Musling Bistro, Vice, Wasara and UNDERBROEN. Five teams have been selected as finalists in the CHART ARCHITECTURE Competition 2017. 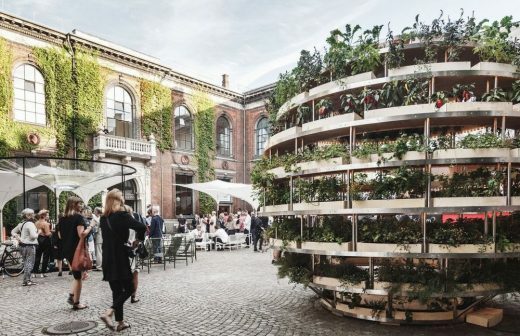 The designs address this year’s theme THE LIVING CITY and thereby contribute to the global discussion on sustainable urbanisation, renewable resources and the urgent need for experimentation with upcycling and the reuse of materials. The competition brief will be published on 7 April 2017 at 12 noon and will be open for entries for 72 hours until 10 April at 12 noon. Five finalists will be selected by the jury and will build pavilions for CHART taking place 1-3 September 2017. 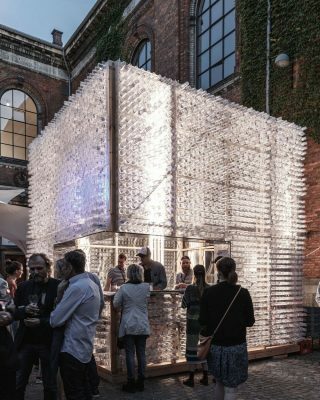 On the left: The 2017 winning pavilion of CHART ARCHITECTURE competition Wet Oysters Dry Champagne by Nicole Strelcheva, Trine Thy, Nowak Aleksander and Tamara Kalantajevska. CHART ART FAIR presents its most ambitious architecture competition to date accepting entries from 7 – 10 April 2017. 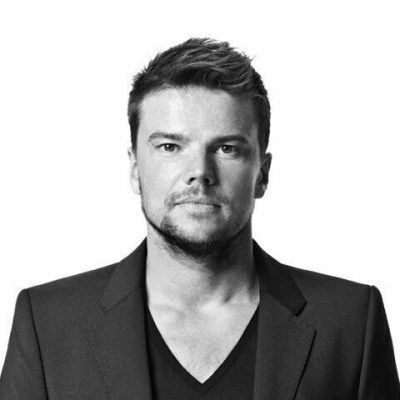 Judges include Bjarkes Ingels, Bjørnstene Christiansen, Débora Mesa and Simon Frommenwiler. 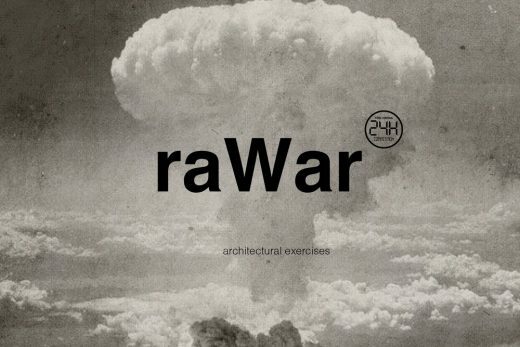 CHART ARCHITECTURE competition, a key element of CHART SOCIAL, was launched in 2014 to promote young Nordic architects and explore the crossover between art and architecture. In 2017 CHART is extending the call for applications to young and newly established architectural practices, as well as welcoming students and recent graduates from the Nordic architecture schools. The competition brief will be published on 7 April 2017 at 12 noon and be open for entries for a 72-hour period, closing on the 10 April at 12 noon. 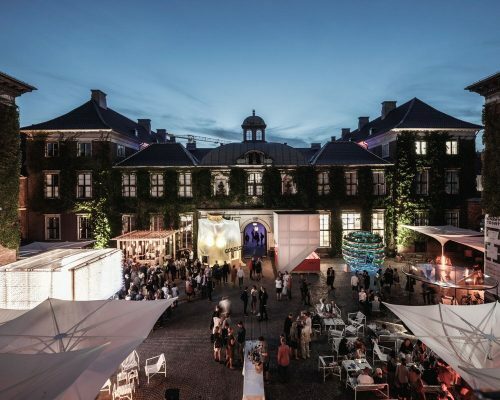 Five finalists selected by the judges will be chosen to design pavilions to house gastronomy, media and artistic partners during CHART ART FAIR and the winner will be announced on 2 September 2017. 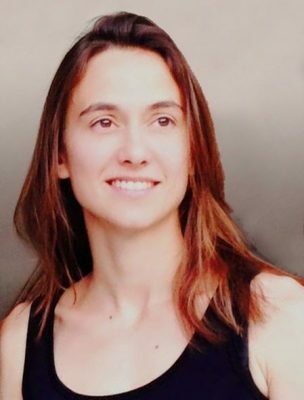 Débora Mesa, architect and part of the team responsible for the Spanish Pavilion at the 2016 Venice Architecture Biennale; Dorte Foss, architect; and Simon Frommenwiler, architect and co-founder of HHF Architects. CHART ARCHITECTURE is made possible by the generous support of Realdania, a social enterprise, whose mission is to improve the quality of life through the built environment; The City of Copenhagen and The Dreyer Foundation. The official theme THE LIVING CITY will be launched during CHART’s first satellite event for 2017 on 21 March at 5pm in collaboration with Realdania. The event is free and open to all. 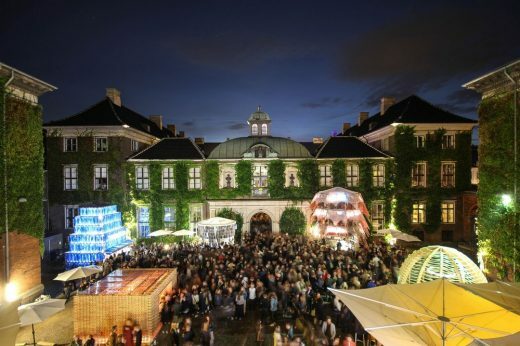 The launch will include a welcome by Anne Skovbro, Philanthropy Director – CPO, at Realdania; an introduction to the competition by former finalists Sine Lindholm and Mads-Ulrik Husum; a presentation of the brief and introduction of the 2017 theme by Simon Friese, Director of CHART ART FAIR; and an inspirational talk by Bjørnstjerne Christiansen and Simon Frommenwiler. 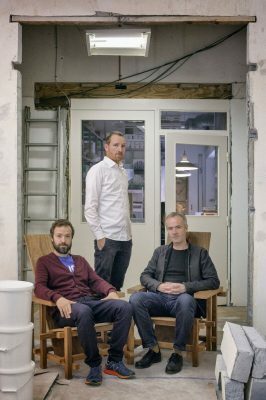 The 2017 CHART ARCHITECTURE participants will be asked to design and create pavilions to house gastronomy partners and SPACE10 during CHART ART FAIR. The entries will address the open source paradigm while contributing to the global discussion on sustainable urbanisation, renewable resources and the urgent need for experimentation with upcycling and the reuse of materials. 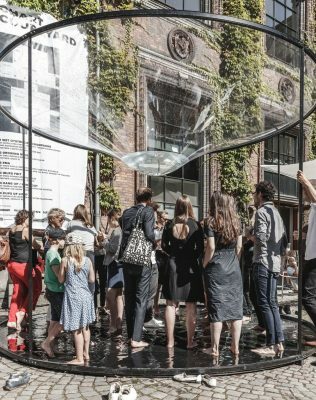 The goal of CHART ARCHITECTURE for this edition is that participants will educate visitors about multifunctionality, investigative recycling methods, community object exchanges whilst innovating on fabrication methods. The winners of this year’s competition will be offered a mentorship programme by a professional architect, a construction expert and a developer. The aim of this mentorship is to stimulate and support young architects’ careers as well as to promote cross-sector collaboration and networking. 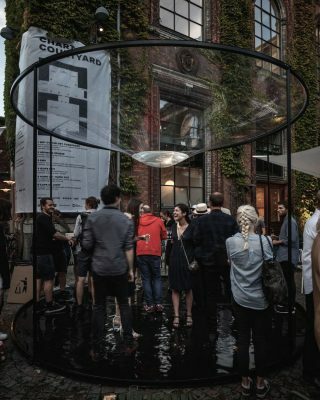 Previous participants of the CHART ARCHITECTURE competition have been able to develop their ideas and pavilions further. 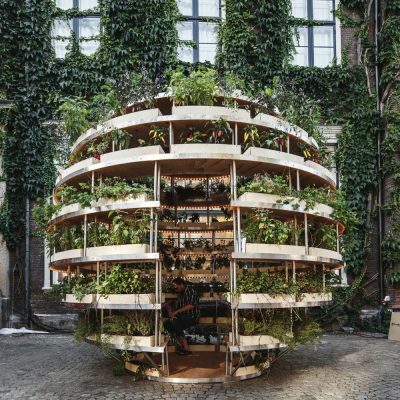 2016 finalists, architects Sine Lindholm and Mads-Ulrik Husum in collaboration with SPACE 10, worked with IKEA in February 2017 to release the open-source plans of a DIY version of the Spherical Garden, one of last year’s CHART ARCHITECTURE pavilions. 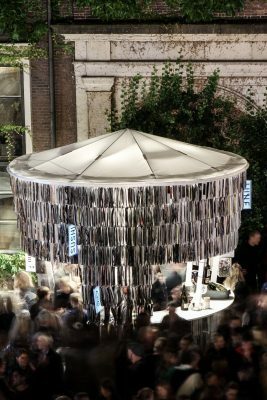 For the 2017 competition, open-source plans for DIY versions of the two chosen pavilions will be released in collaboration with SPACE10 after CHART.